Supermarkets Carrefour and Sainsbury have been floated as potential targets following the e-commerce giant’s $13.7 bln purchase of Whole Foods. But CEO Jeff Bezos already owns the one grocer he really needs. Bid speculation only obscures the broader competitive pressures. 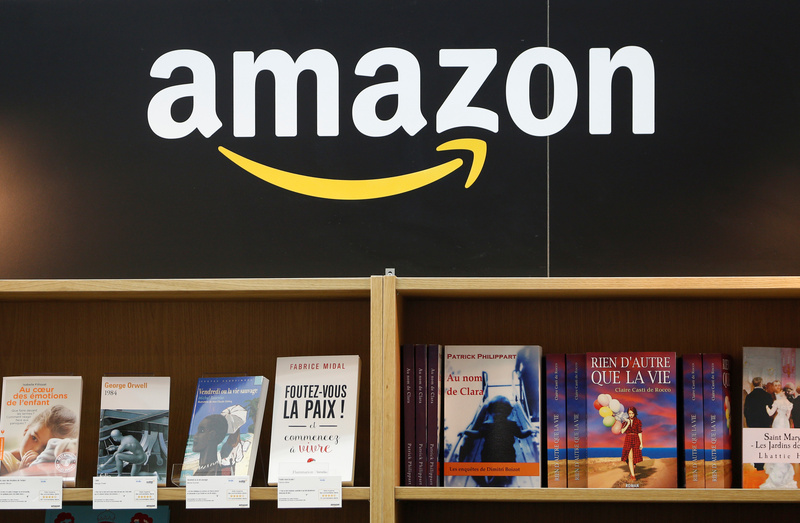 Books are put on sale at the Amazon booth at the 2017 Paris Book Fair, France, March 24, 2017. Amazon is considering a bid for Carrefour, France’s number two supermarket by market share, according to an article in French publication Valeurs Actuelles on Sept. 26. The U.S. e-commerce group said on June 16 that it would buy high-end U.S. grocer Whole Foods Market for $13.7 billion. The deal closed at the end of August. In a June 16 report, analysts at Bernstein suggested J Sainsbury and WM Morrison could be potential UK targets for Amazon.